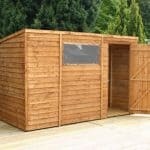 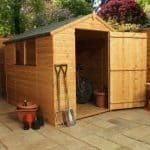 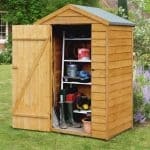 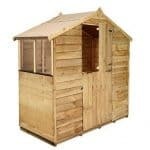 Whatever your needs, this tall shed is ideal for the garden and is attractively trimmed in white. 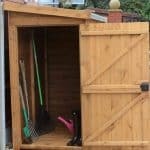 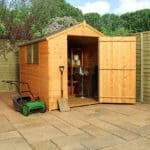 A classic overlap construction with wide double doors, this is a genuinely robust building with plenty of inside space for gardening enthusiasts to store equipment safely. 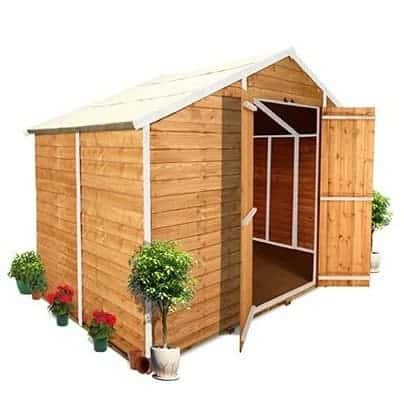 Built to last and with handsome window treatment allowing plenty of light inside, it is an excellent choice available in many different sizes to suit your outdoor space to perfection.